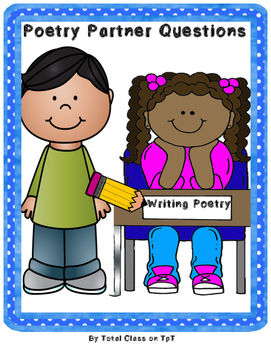 This list of questions helps partners gather their ideas about their poems and the craft moves they have tried in their poems. This checklist is meant to be printed out and laminated for each partnership in your classroom. Students can touch and read each question to one another as they go! This is a great activity for students to use when revising their poems and getting them ready to publish. Get this amazing list of questions today!